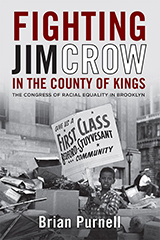 Professor Purnell is the author of Fighting Jim Crow in the County of Kings: The Congress of Racial Equality in Brooklyn (University Press of Kentucky, 2013), which won the New York State Historical Association’s Dixon Ryan Fox Manuscript Prize. 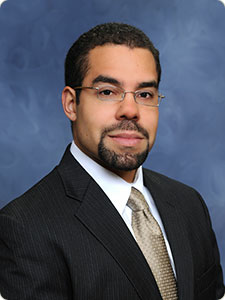 His research, writing, and teaching areas generally fall within the broad field of African American history with specific concentrations in urban history, oral history, civil rights and black power movement history, and modern United States history. Brian Purnell, " 'What We Need is Brick and Mortar:' Race, Gender and Early Leadership of the Bedford-Stuyvesant Restoration Corporation," in Laura Warren Hill and Julia Rabig (eds)., The Business of Black Power: Community Development, Capitalism, and Corporate Responsibility in Postwar America (Rochester, NY: University of Rochester Press, 2012), 217-244. Brian Purnell, "Freedom North Studies, the Long Civil Rights Movement, and Twentieth-Century Liberalism in American Cities," (PDF) The Journal of American History, 42:3, 634-640. Brian Purnell provides commentary in the on-line educational project, "Created Equal: Image, Sound, Story" ​created by the Jacob Burns Film Center and the Brooklyn Historical Society. Brian Purnell presents at Carnegie Mellon University's symposium on the history of the ghetto. Brian Purnell, featured speaker at Columbia University's MA seminar on oral history.